Mt. Sneffels and freshly budded aspens in the Sneffels Range, May. 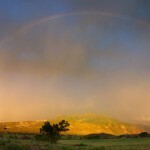 It’s a particularly beautiful time right now here in southwest Colorado, with the snowy peaks towering above brilliant green meadows and freshly budded aspen groves. 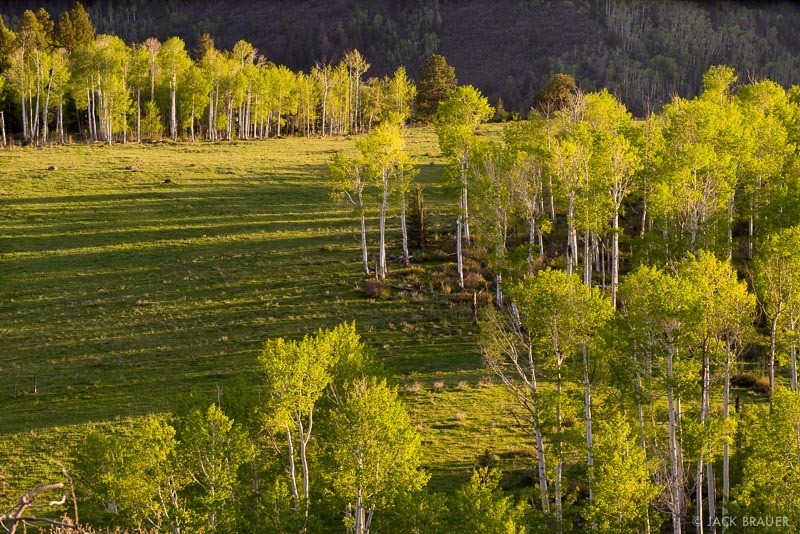 Sunset light filters through springtime aspens – May. Mt. 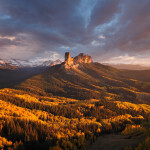 Sneffels and the Sneffels Range tower above the Double RL ranch near Ridgway, Colorado – May. 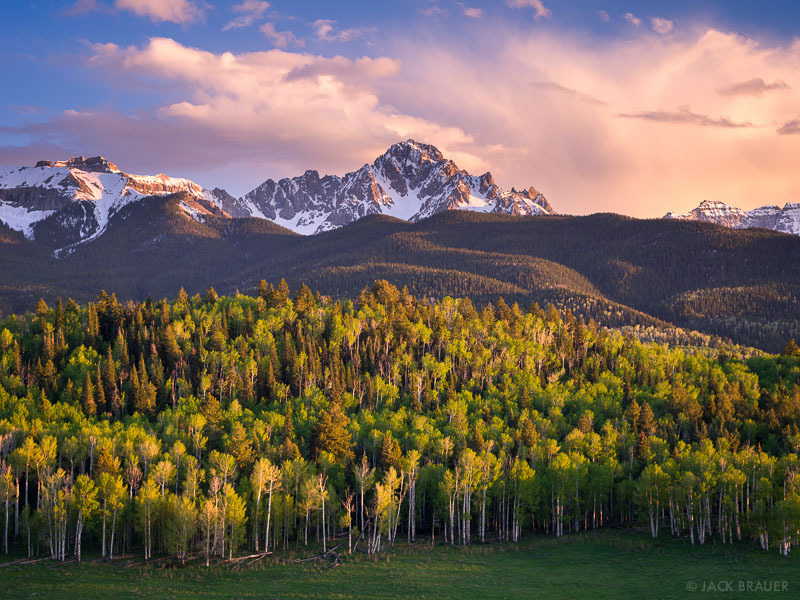 Posted in Colorado and tagged Colorado, San Juans, Sneffels on May 31, 2014 by Jack Brauer. 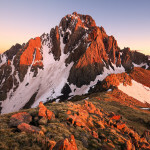 ← Previous: "Exhibit at Steamboat Art Museum"
Wow, Jack, that first Sneffels shot is stunning. The San Juans are gorgeous! Still some good snow in the high country…great to see! Love seeing all the green show up! Panorama gets my vote this morning. Nice work. Seems like you have truly found paradise on Earth!